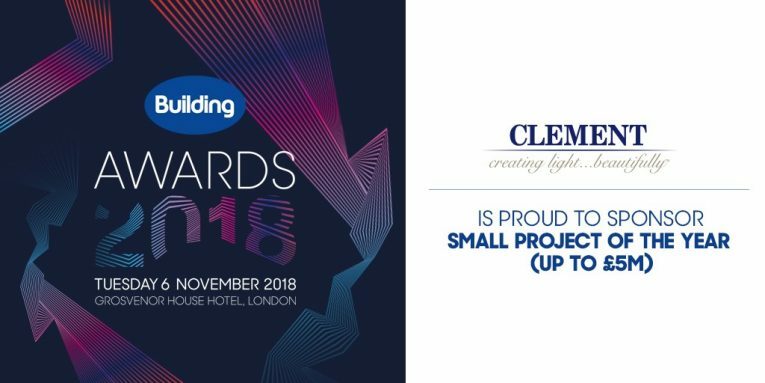 We are delighted to be involved with this prestigious event and pleased to be able to show our support of the many wonderful smaller value projects that take place in the UK each year. This category is open to all members of the project team and all types of construction firm that helped to deliver the project. Projects will be judged on design, sustainability, innovation and construction performance, as well as procurement and team work with the client. Awards will be presented at a star studded evening at the Grosvenor House Hotel in London on Tuesday 6th November 2018.